Arguably the most famous American wine region, most wine lovers who have not had the pleasure of Napa's hills and valleys may be surprised to find out how small Napa actually is. Napa has just under 40,000 acres under vine and it only produces about 5% of all wine made in California. Napa Valley reminds that sometimes it is quality, not quantity, that's important. At the time of this writing there are less than 500 wineries in Napa, though there are well over 1000 growers. Napa features many of the more popular international varietals like: Chardonnay, Sauvignon Blanc, Merlot, Pinot Noir, and Zinfandel, but the undisputed champion of grapedom what many wine lovers perceive as the king of all grapes: Cabernet Sauvignon. Napa features many of the most famous Cabernet regions on the planet, including Yountville, Stags Leap, Rutherford, Oakville, Calistoga, Mount Veder and Spring Mountain. A little north of Napa is Sonoma, the second most famous region in California. Sonoma is known for a variety of climates, and its Russian River Valley is one of the coolest regions in California. Russian River is marked by maritime influence and fog is often present, resulting in consistent cloud cover. Russian River boasts some of the finest Chardonnay and Pinot Noir in California. Some of the other famous regions for Chardonnay and Pinot Noir in Sonoma are: Green Valley and Carneros. Dry Creek, Alexander Valley, and Anderson Valley boast numerous opportunities for top flight Zinfandel, Cabernet, Sauvignon Blanc and Chardonnay. 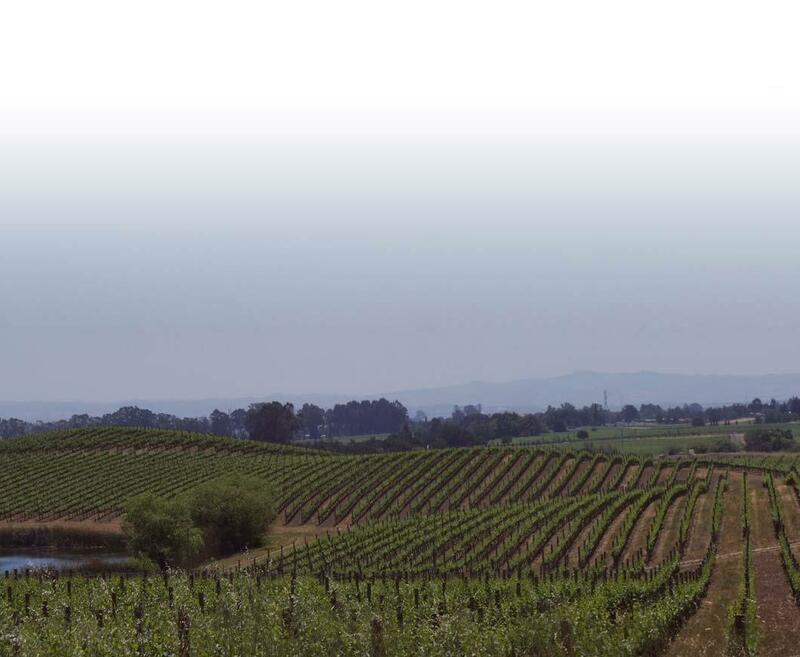 Perhaps the most famous part of Sonoma is the Carneros region, which straddles the Sonoma and Napa County lines. Carneros is known mostly for still Pinot Noir and Chardonnay, though wine lovers should not have been surprised by the wave of investment from sparkling wine producers in the last twenty years, many from Champagne itself. Because Pinot and Chardonnay are Carneros' natural strengths, and because of the oft windy conditions that slow the ripening process, Carneros can produce wines that are ideal base wines for sparkling wine production. The dry, still wines of Carneros consist mostly of Pinot Noir and Chardonnay, but Syrah and Merlot are also becoming more popular. Carneros Pinot Noir is usually fruit forward, friendly, and ripe with medium to full body without the minerality of Russian River Valley Pinots. Chardonnay can vary from crisp and clean, to full and dry with apple, citrus, butter and hazelnuts. The area south of the bay has numerous regions, some put on the map because of the famous wineries. One such region is the Santa Cruz Mountains, home of Ridge Vineyards. While Ridge is famous for its Zinfandels, Ridge's superstar Cabernet blend called Montebello calls the Santa Cruz Mountains home. The Monterey AVA is also important here as it encompasses all of the Arroyo Seco, Carmel Valley, and Chalone AVAs. Chardonnay is generally the mainstay of all these appellations, though Arroyo Seco grows delicious Riesling. The Chalone AVA grows famous, world-class Pinot Noir and Chardonnay. While it overlooks Arroyo Seco, the Chalone AVA enjoys different climate, more fog and calcerous soils. Between Monterey and Santa Barbara are the appellations of California's Southern Central Coast, namely: Paso Robles, Edna Valley, Arroyo Grande, Santa Maria Valley and the Santa Ynez Valley. Paso Robles has had particular success with Zinfandel and Rhone varietals like Grenache and Syrah. Edna Valley is a Chardonnay stalwart, with some producers also excelling with Rhone varietals. Santa Maria provides a cool climate that is ideal for Pinot Noir, Chardonnay and even Syrah. Santa Maria is home to the famed Bien Nacido vineyard, which is seen on various labels. Santa Ynez offers great potential for high acid white grape production like Riesling and Sauvignon Blanc, but is already producing great Pinot Noir and Chardonnay. About 75% of the wine produced in California is produced in the Central Valley. The biggest reason for this fact is E and J Gallo, in Modesto. The Central Valley is hot. Central Valley grows Sultana, Rubired, Chenin Blanc, Zinfandel, Merlot Chardonnay, Grenache and Colombard among other things. The most famous AVAs in this region are: Lodi, Clarksburg, Amador and the Sierra Foothills. Lodi and Amador have long been famous for heady Zinfandels and are becoming more noted for Rhone varietals, particularly Syrah and Grenache. Clarksburg, on the other hand has gained high acclaim for its whites, especially Chenin Blanc. "Medium-bodied Chardonnay with pineapple, soft vanilla, and notes of creamy,toasted oak with a long, lingering finish." "A well-balanced, dry white wine with intriguing scents of green apples, pear and honeydew melon. This lighter-bodied wine has a bright crisp, mineral finish. This clean and crisp Pinot Grigio is best served chilled. It pairs well with light flavored foods such as mild cheeses, fresh fruit, grilled chicken and pasta dishes, like pesto and risotto." "Aromas of gooseberry and kiwi play nicely with flavors of lychee, lemongrass and ruby grapefruit. The wine was fermented in stainless stell tanks and neutral, 5- to 6-year-old French oak barrels. It was not allowed to go through malolactic fermentation in order to retain its crisp acidity." "The wine opens with pretty aromas of passion fruit and orange peel. The flavors are clean and crisp as flashes of citrus grace the warm, tropical guava and honeydew. The palate has a subtle, yet substantial, complexity, balancing the bright acidity with weight and depth. Characteristic notes of fresh-cut grass carry throughout the palate, which finishes with a crisp snap of lime." "Rich with notes of citrus, melon and vanilla, this Chardonnay is a fresh expression of the hand-picked classic varietal. Medium to full bodied, ripe fruit flavors, crisp high acid in the mouth, and a rich lingering finish." "Aromas of peach, green apple, white flower and honeycomb. Layers of baked apple and pear, green apple, white peach and hazelnut flavors expand across the palate. Notes of hazelnut and toasted oak come from barrel fermentation, while sur lie aging adds weight to the luscious texture. This wine's bright, balanced acidity makes it ideal for pairing with white meats; seafood and freshwater fish; and creamy soups, pasta or risotto." "A beautifully rich, yet balanced style of Chardonnay that represents what the Arroyo Seco appellation has to give. Deep, rich soils allow for vines with deep roots, which help to deliver rich fruit flavors. In addition to the classic Chardonnay aromas of apple and pear, Arroyo Seco consistently delivers aromas of tropical fruits and stone fruits. This is distinctly a California style of Chardonnay, but is consistently well balanced with ample acidity. Displaying the perfect balance of tropical fruit, acidity and creamy notes of butter, vanilla and subtle oak from barrel aging, this Chardonnay has a round mouth-feel and a crisp, long finish."